Mango which is not fully ripe and is still green in color. It is, though, surprising that the unripe fruit gives a remarkable spice much used in Northern India. Raw peanuts with skin. 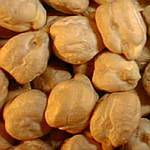 Peanuts, either raw, roasted or even boiled in salted water, can be enjoyed as a light snack. They may also be added to some dishes like pulao to add a crunchy taste to the dish. This fish is available in any Chinese store, or any Pakistani stores. 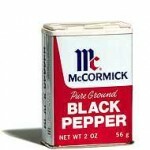 All purpose ground black pepper.